Eva, daughter of the Reverend James and Eleanor Haydon of Darlinghurst Sydney, was a great community supporter. From a very young age she turned her hand to church and charitable work. Following her marriage to George Bone in 1884 the couple came to live at Inverell where they raised three sons, all of who became members of the AIF. One son, Anthony, was killed at Gallipoli. During the War Mrs. Bone found a wide field for her charitable work. She soon earned the name ‘mother of the soldiers’ as she busied herself and those around her to organise knitting days at local schools and other organisations making socks, vests and face washers. There was no local member of the AIF who didn’t receive a parcel from Mrs Bone. She organised entertainment for soldiers on leave and helped raise large sums of money for the War effort. She also assisted the Voluntary Aid Workers Association which built homes for War Widows. 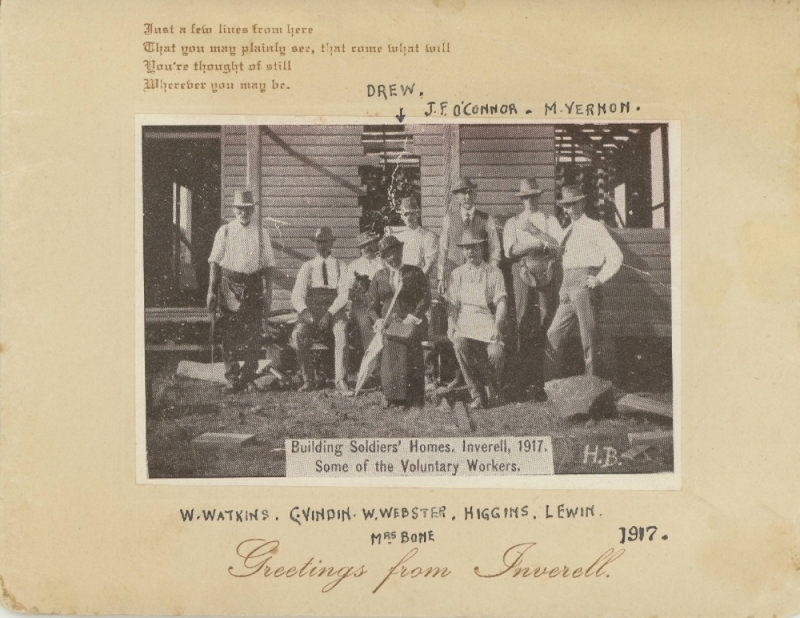 In 1924 she generously gave funds towards the cost of building Inverell’s Cenotaph. Mrs. Bone became a trustee of the local branch of the Returned Soldier’s League. At her funeral in July 1946 this wonderful lady was honoured by members of the local Returned Soldier’s League being her pall bearers.